We’ve often said the fun of writing a review blog is discovering new and exciting talent. 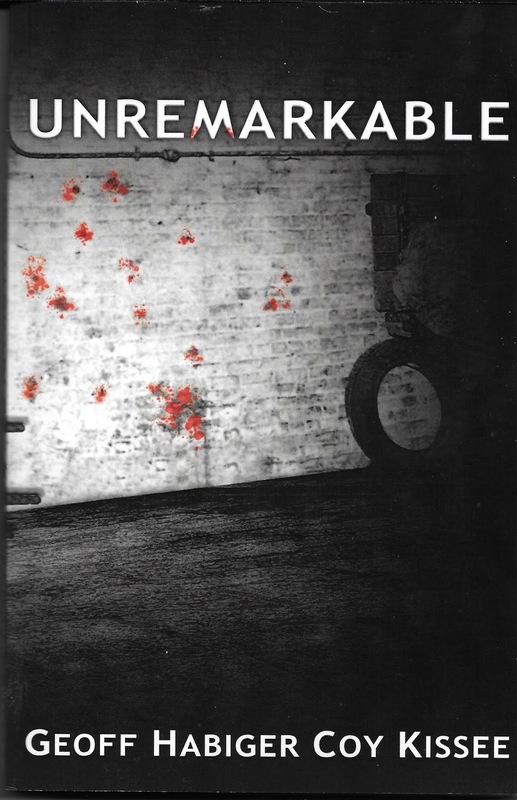 Case in point this book sent to us by authors Habiger and Kissee, “Unremarkable.” From the book design it is easy enough to infer that the story deals with death and violence and sure enough it kicks off fast in those directions. The year is 1929 and young Saul Imbierowicz is a postal clerk in Chicago. For an average fellow, his life has been what most people would consider dull and boring. But when he meets a vivacious redhead named Moira a few days before Valentine’s Day, things seem to be changing for the better. Moira is a beauty and Saul can’t believe his good luck. When she asks him to accompany her on an errand to the North Side, he willingly agrees to tag along. There isn’t much he wouldn’t do for the girl. 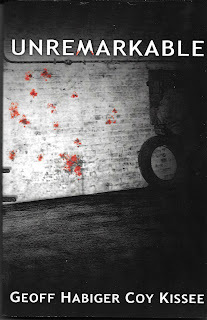 Then they find themselves walking into one of the most celebrated gangland shootings in American history, the St. Valentine’s Massacre wherein seven of Al Capone’s men were gunned in a street corner garage by members of the Irish Mob under the orders of Bugs Moran. Tragically Moira and Saul arrive at the location while bullets are still flying and Moira is shot. Shocked and frightened at her body lying in a pool of blood, Saul flees in horror unable to deal with the violence suddenly foisted upon him. As if that wasn’t enough to totally ruin his life, he is then grabbed by several of Moran’s thugs and brought to a meeting with the mob boss. Moran informs him that federal agents, who maintain offices in the same building as the post office, have come into possession of Frank Capone’s tax accounting records. The data in those books would be sufficient to put Al away for a very long time. Something Moran wants to assure happens. Fearing Capone might somehow steal the books from the feds, he wants Saul to do it first and then bring those books to him. If Saul doesn’t do as he demands, Moran will have his parents and sister killed. The authors waste no time in building the suspense and the narrative moves at a very steady pace. Saul is the innocent protagonist who, for no fault of his own, finds himself in a seemingly inescapable dilemma. Can he actually do what Moran wants; break into the feds’ offices and steal the Capone books? As he grapples with this question, he is suddenly set upon by the very agents who occupy those offices. They know of his presence at the street corner during the shooting and want to know what happened to Moira? If poor Saul was mixed-up before, this new wrinkle totally leaves him confused. Moira’s dead, isn’t she? After all, he saw her die. Or did he? And if she is somehow alive, where is she and how is she involved with the entire affair? “Unremarkable” is a really fun read that will keep readers guessing from chapter to chapter. The characters are one hundred percent authentic and the underlying mystery reveals itself slowly like a many layered onion. It is a thriller in the best sense of the word and one we highly applaud. Do yourselves a favor and pick up a copy. In the first book of this series, a divorced unemployed accountant named Martin Talbot uncovered a startling secret upon opening the contents of his mother’s effects. 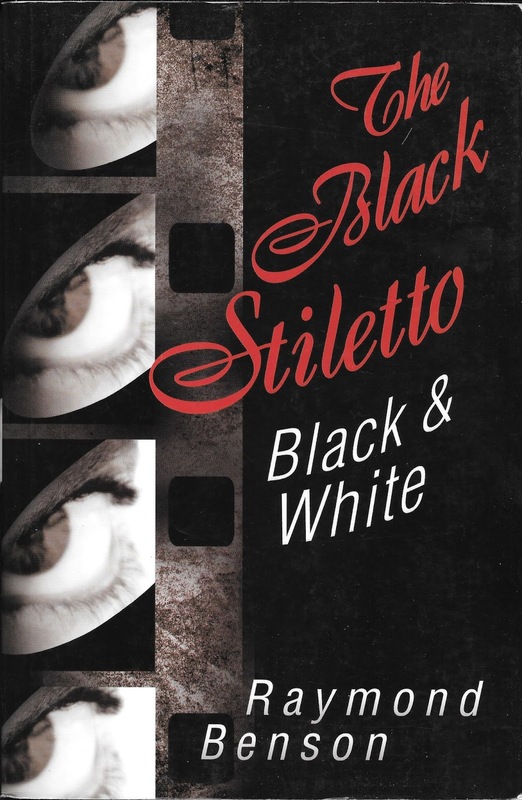 In the 1950s and 60s, his mother, then Judy Cooper, donned a masked and became a crime fighting vigilante known as the Black Stiletto. Now she suffers from Alzheimer’s and is committed to medical institution. In her diaries, part of the cache he discovers, he learns that as a teenager, Judy had run away from her abusive stepfather in Texas to begin a new life in New York City. There she came under the tutelage of an exboxer named Freddie who taught her how to fight. She later added to her martial skills by studying both judo and karate from a Japanese sensei. Eventually she had a romantic tryst with a young man who she later learned was part of the Mafia. When he was murdered, Judy decided to mete out her own justice in the guise of her secret identity. By the book’s finale, Martin is forced to accept the realities of his discoveries and keep them a secret from everyone including his own daughter, Gina, who adores her grandmother. With “Black & White,” the saga continues and again is narrated by both Martin in the present and by sections of Judy’s detailed diaries showcasing her exploits. For Judy the year is 1959 and the country is undergoing radical changes. Many are due in part to the racial tensions boiling up in the urban centers of America’s fast growing cities. Harlem has become a blacks-only community and a gangster named Carl Purdy has risen to power. He has grandiose ambitions and challenges the Italian families for control of the growing drug trade. 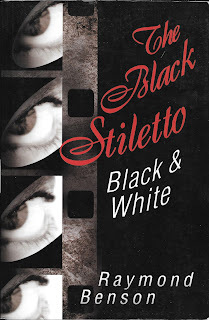 As the Black Stiletto enters the fray, she finds herself hunted by a smart and handsome F.B.I. agent named John Richardson. Through a series of dangerous outings, the Stiletto manages to start a truly weird, and romantic, relationship with the dedicated agent. While their feelings for each other threaten both of them, Judy finds herself embroiled in the Harlem gang war and agreeing to a truly bizarre alliance with a Mafia Don. Meanwhile, in our time, son Martin has unearthed an actual film reel of Judy in her Black Stiletto get-up and is being blackmailed by a small time New York thug who also owns a copy of the same film. Once again, Raymond Benson weaves twin stories, interweaving them skillfully while heightening the suspense with each new chapter so that the reader is rewarded with not one but two exciting and dramatic climaxes. What makes this book a winner, as was the first, is his knack of bringing Judy Cooper to life with all her courage, naiveté and sincere empathy for others. She is a wonderful character; one you really should get to know.